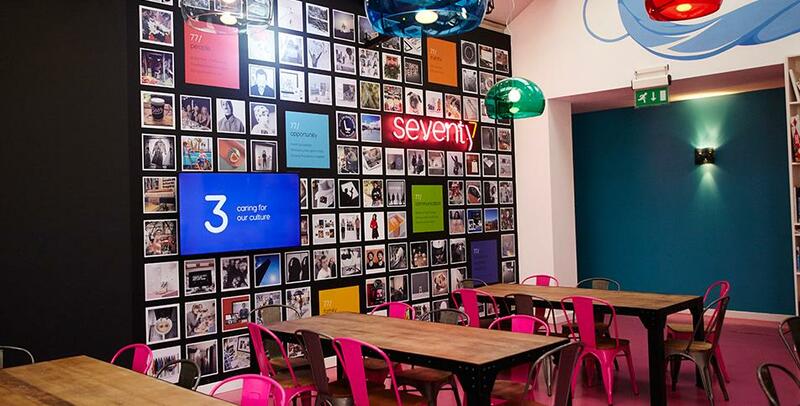 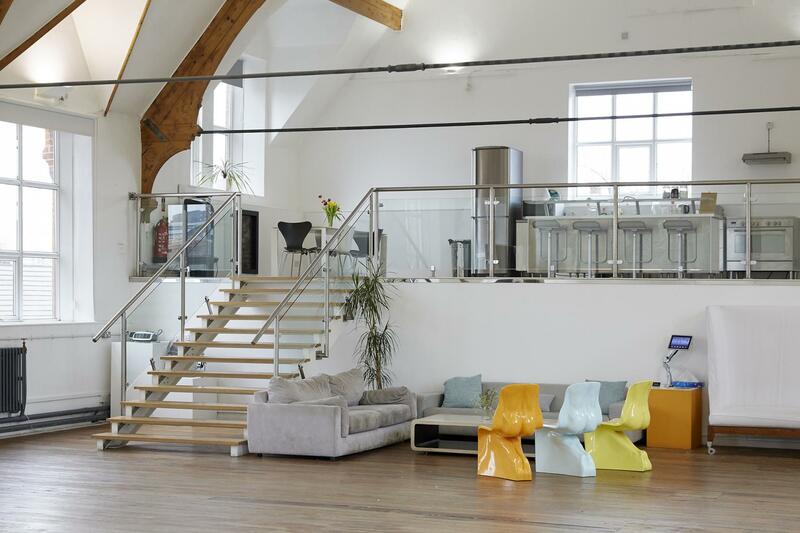 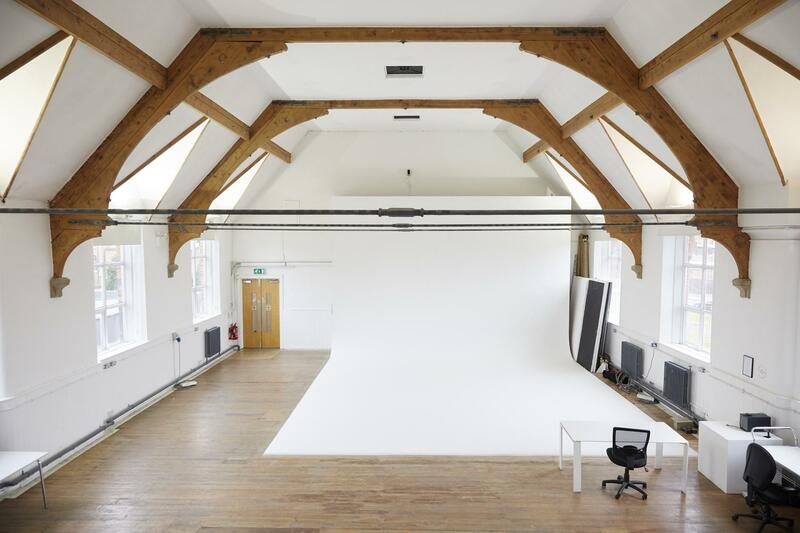 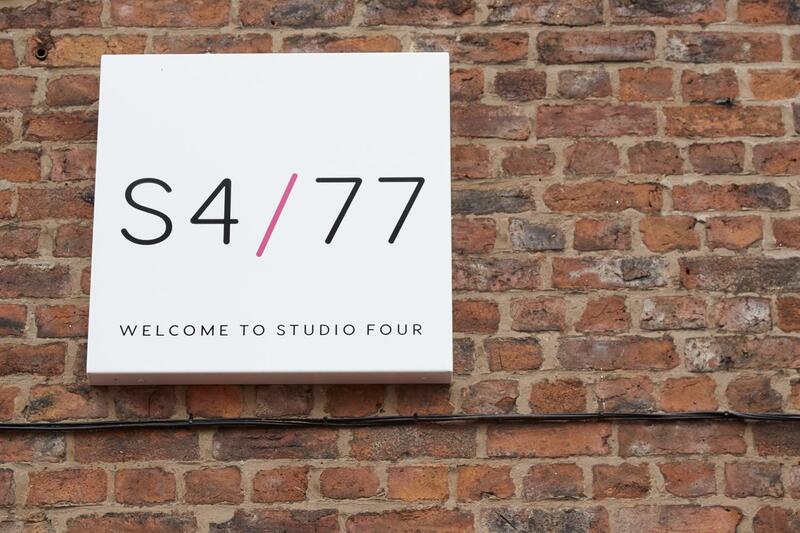 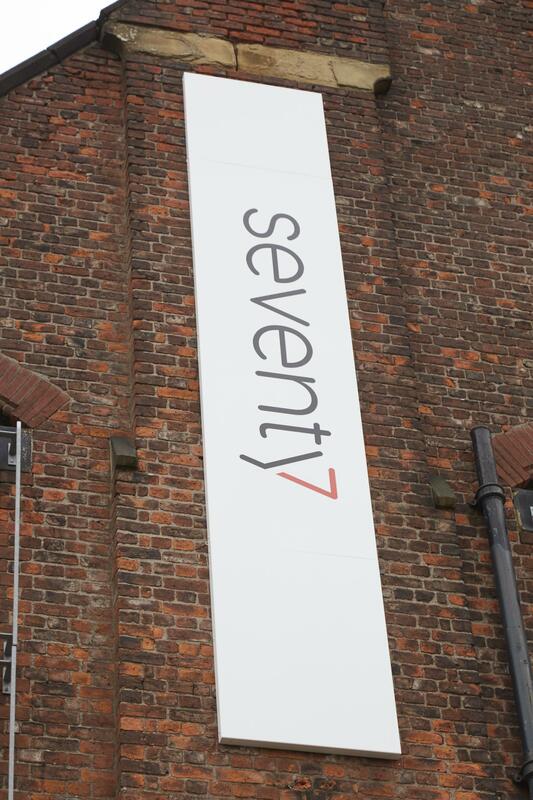 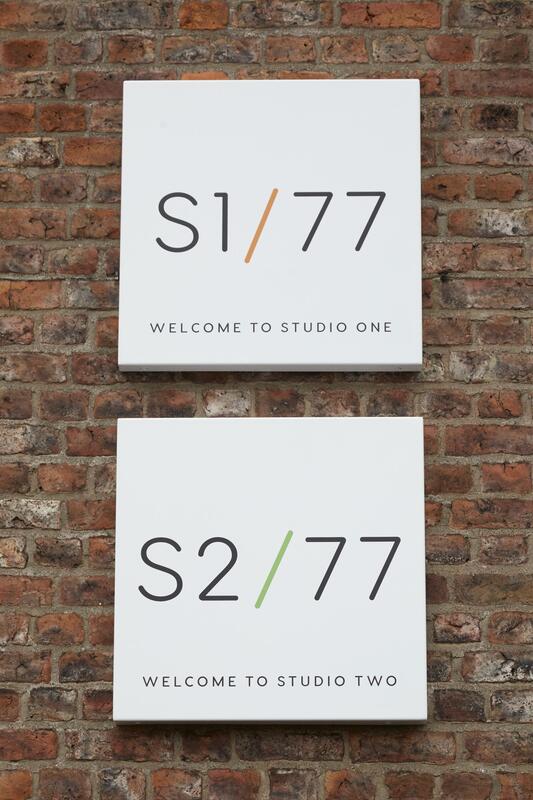 Located on the first floor of the Old School House in Manchester under a high vaulted ceiling, Studio 1 provides a unique working environment. 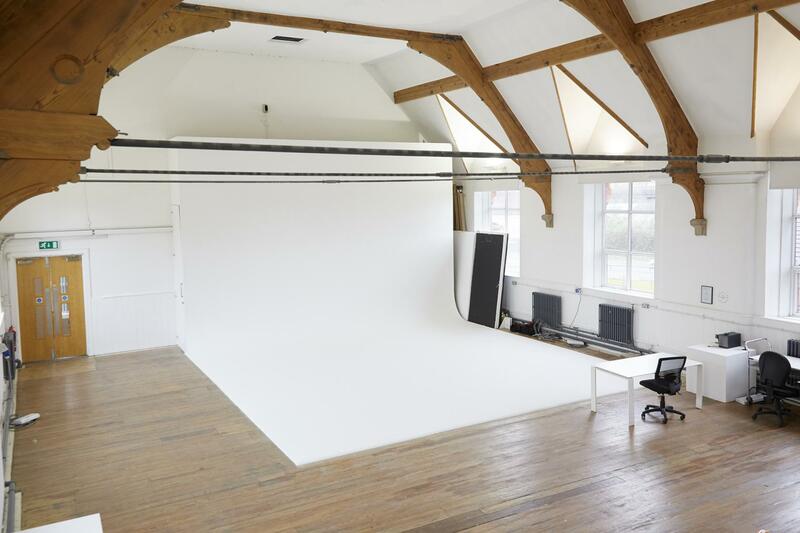 It is large – large enough to accommodate a 23 ft wide scoop. 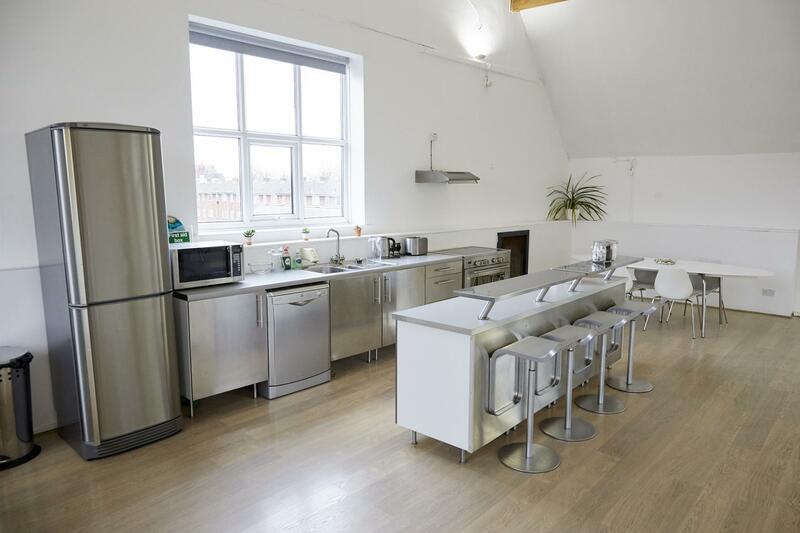 And it features a raised stage area at one end, for food prep or simply for watching the shoot unfold.